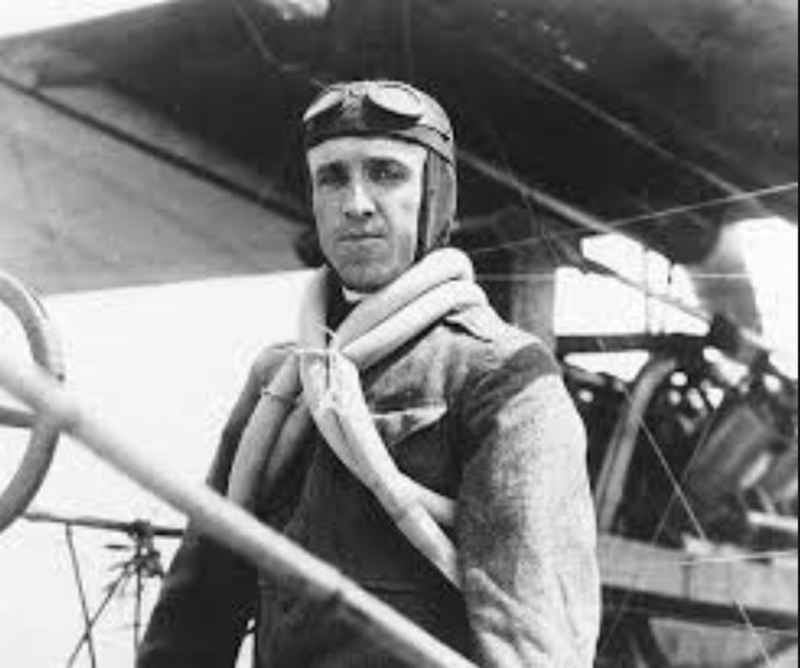 Self-taught aviator Eugene Ely made the first aircraft take off from a ship. Not to belittle the importance of the railroads to this area, but a new-fangled vehicle began to be seen in the skies in the early days of the 1900s – the AEROPLANE! The first manned flight was, of course, on December 17, 1903 in Kitty Hawk, NC made by two brothers named Orville and Wilbur Wright. This is about the time that construction was begun on the new Southern Pacific Railroad Roundhouse in present-day Sparks. On November 14, 1910, a 24 year old self-taught aviator, by the name of Eugene Ely, made the first aircraft take off from a ship. He was deathly afraid of the water, so he made himself a floatation device consisting of two bicycle inner tubes. An 83 foot ramp had been installed on the foredeck on the scout cruiser USS Birmingham anchored in Hampton Roads, Virginia. Ely became airborne after a 57 foot run. The aircraft plunged downward as soon as Ely cleared the Birmingham’s bow, its wheels dipping into the water before rising. His googles covered with spray, Ely unable to tell where he was heading. As soon as he wiped his goggles, he saw a stretch of beach and decided to land, scrapping plans to circle the harbor and touch down in the Norfolk Navy Yard. 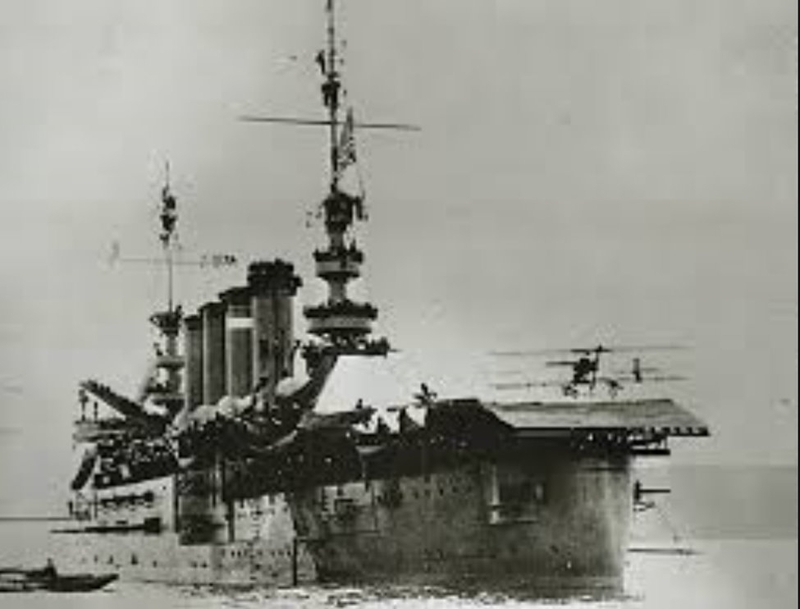 Eugene Ely landed his plane on a special deck of the USS Pennsylvania. On January 18, 1911, Ely took off from the Army’s Selfridge Field in San Francisco, CA flew 13 miles to a group of warships in the bay, coming to rest on a special platform (127 feet long, 32 feet wide) on the deck of the armored cruiser USS Pennsylvania. His Curtis Pusher was stopped by hooks which caught ropes strung across the platform. An hour after landing, Ely took off and flew back to Selfridge Field as thousands lined San Francisco Bay to watch his progress. These two flights are considered to be the birth of Naval Aviation. 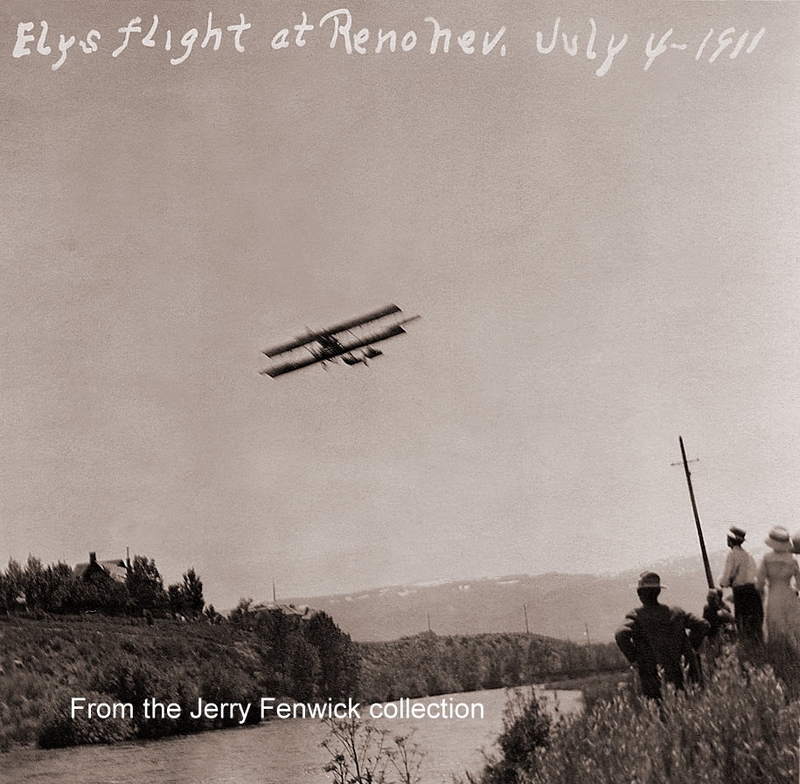 On June 23, 1910, the first flight in Nevada took place at the Raycraft Ranch in Carson City. The flight was of national interest not only because an air journey had never before been made at such an altitude (4,675 feet), but also because Ivy Baldwin, a nationally known parachutist and balloonist, would make the flight. This was a trial flight, as stipulated by the Sagebrush Carnival Committee of Carson City. It was followed by exhibition flights on July 3, 4 and 5 at the Carson City racetrack. About the same time Ely was performing his historic feats in Virginia and California, plans were underway for an aviation meet in Reno in conjunction with automobile races to be held at the race track at the State Fair Grounds. The Nevada State Journal (NSJ) on October 25, 1910 reported: “Fred Wiseman and Don Pretice are the young fliers that will make the ascents, and they will have two machines of the Farnam type here for the exhibitions. Both will ascend at the same time and race around the field as a thriller.” Only one plane arrived by train on November 3 and was taken directly to the race track to prepare for test flight prior to the meet. After three unsuccessful attempts to get airborne on Nov. 6, it was decided that a different propeller was needed. On November 10, 1910, after installing the new propeller and making adjustments to the engine, Wiseman was able to get about forty feet in the air and held it there for about a quarter mile. On November 17, Wiseman launched on what was to be a flight around the field. However, after rising to forty feet, he encountered a gust of wind (now known as a burble) caused by the grandstand. He attempted to regain control, but over corrected and the machine crashed throwing him clear. He was not seriously injured, but the plane was reduced to a pile of parts which was packed up and shipped back to California. After making his successful flights in San Francisco, Eugene Ely began a series of events across the country to demonstrate the airplane. During a planning meeting in Reno for the upcoming Fourth of July celebration, It was decided to have an aviation meet and invite Eugene Ely to perform. He accepted and his airplane was shipped to Reno to arrive either June 30 or July 1. It actually arrived on July 1 and was reassembled. It was reported that the “aeroplane” was the same machine that had be used for the historic flights on the USS Pennsylvania. The flights were to be held at Riverside Park in Reno. On the 4th, Ely made his flights much to the amazement and enjoyment of the crowd. Unfortunately, on October 19, 1911, while flying at an exhibition in Macon, Georgia, his plane was late pulling out of a dive and crashed. Ely jumped clear of the wrecked aircraft, but his neck was broken, and he died a few minutes later. Spectators picked the wreckage clean looking for souvenirs, including Ely’s gloves, tie and cap. On what would have been his twenty-fifth birthday, his body was returned to his birthplace for burial. After first flights in the area, the next major hurdle was to be able to fly into Nevada from the west. The Sierra Nevada mountains posed an almost insurmountable block to the advancement of aviation. In 1910, William Randolph Hearst offered a prize of $50,000 for the first transcontinental flight in either direction. The flight was to be completed in 30 days or less. The first pilot to attempt flight across the Sierra was Bob Fowler in 1911. Fowler was competing for a $50,000 prize for the first transcontinental airplane crossing. The prize was to be rewarded for the first pilot to successfully complete the flight in thirty days or less. Planning to fly west to east, Fowler tried a route that would traverse Donner Pass. But, enroute near Colfax, his airplane, a Wright Flyer, flipped in blustery winds and crashed. Fowler was briefly marooned in the treetops, but escaped injury. His plane was repaired in ten days. Fowler tried again. Three more times, in fact. Each time he failed. Finally, he flew south to Los Angeles, crossed the desert and flew across country. He did not win the award—his flight took forty-five days. A major aviation event on June 29 and 30, 1912 was scheduled in Reno at Moana Springs, where an aviation field had been prepared. Aviators Frank Bryant and Roy Francis were selected to perform for the large crowds expected. On June 21, Francis made a flight over the city to not only check out his machine, but also to test the turbulent air in our area. His test flight was successful to the delight of many happy residents. A mini-meet was scheduled for June 22 and 23. However, the winds and rain we occasionally get in June normally get caused a cancellation of June 22, but the weather cooperated on the 23rd and several successful flights took place. During a trial flight on June 25, Frank Bryant had a major engine problem and safely landed in a nearby grain field. There were a number of workers in the field watching the flight, however, those who were not watching suddenly saw the machine going through the field and thought it might be a new type of harvester. The plane cut a path through a portion of the field, flattening the grain, but otherwise caused no other damage. The June 29 and 30 meet went off without any major problems and the crowd was pleased to get their money’s worth. In April 1915, an intrepid aviator named V. R. Will planned to make the first flight over the Sierras with a 125-horsepower engine. However, there is no information available to indicate what he did other than he did not fly over the Sierras. 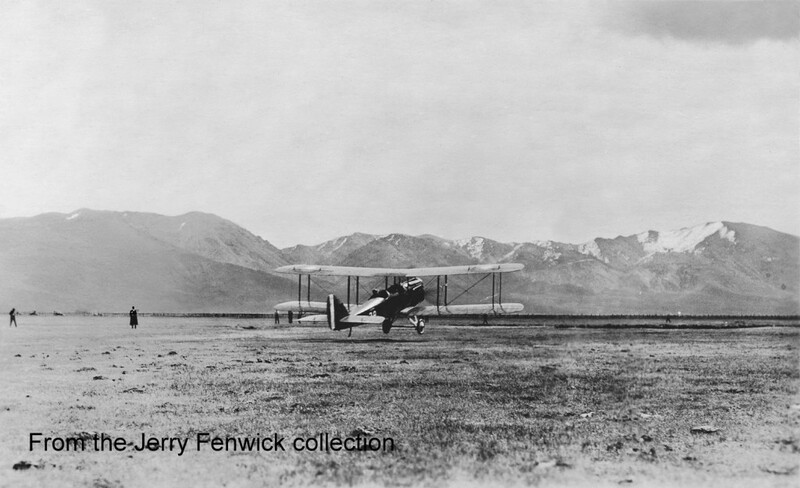 The first successful flight over the Sierras was finally completed March 22, 1919 when the first of three De Haviland aircraft landed in Carson City at 10:33 am. The three De Havilands were joined by a Curtis Trainer which had also crossed the mountains. The planes continue on to Reno where they landed on the Mapes Ranch near Glendale. On May 23, the aircraft departed for Carson City where they picked up Nevada Governor Emmett Boyle and flew him to Mather Airfield in Sacramento, CA. He became the first civilian to fly over the Sierras. 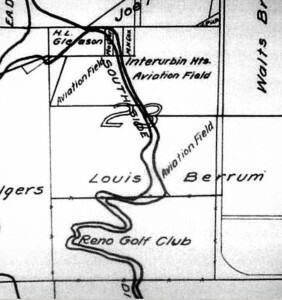 As early as 1918, there was an airfield located in Reno near the golf course. 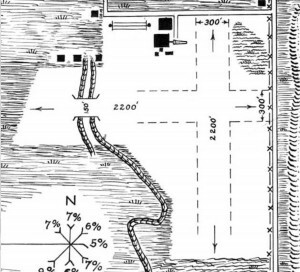 It appears on a 1921 map as “Interurbin (sic) Hts. Aviation Field” It was primitive to begin with, but improvements were constantly being made. In 1919, an aircraft hangar was built which would serve the fledgling Air Mail Service. On May 4, 1920, the Reno City council and county commissioners decided that Jensen field would be improved to provide a suitable airport to handle airmail and other aviation activities. Jensen Field was located just outside the city limits at the western extremity of Seventh Street. Plans called for putting the field in shape and building hangars. Total cost to put the field in shape was estimated at $3,000. However, these plans apparently fell apart as the May 11 edition of the Reno Evening Gazette (REG) reported that “Final action will be taken next Wednesday night for the acquisition of the land required for an aviation field, located on Plumas Street, just north of the golf links.” On June 21, 1910, the REG reported “The post office department has decided to make Reno one of the stopping points on the air mail service across the country in case the city agrees to construct a hangar that will meet with the federal requirements . . . 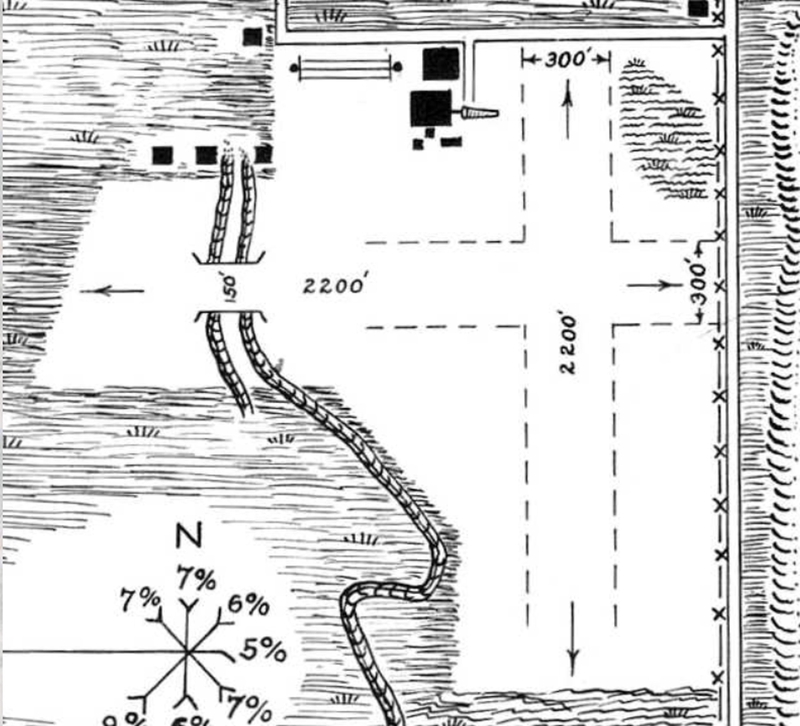 The blue print sent to the Mayor by the second assistant postmaster general shows that the federal requirements for hangar are 135 by 115 feet.” Consequently, the city council requested the county commissioners to direct the District Attorney to bring condemnation suits against the owners of lots in the Berrum tract which the city and county require for aviation field purposes. Airmail service was first instituted by the Post Office Department on May 15, 1918 between Washington, DC, Philadelphia.PA and New York, NY. Scheduled Transcontinental Air Mail service flown between New York (Hazelhurst Field, L.I.) and San Francisco (Marina Field) began on September 8, 1920, over a route laid out in July and August by Eddie Rickenbacker and Bert Acosta who had helped pilot the first experimental through flight carrying about 100 letters which landed at Durant Field located at 82nd Ave and E. 14th St. in East Oakland. The transcontinental mails were originally flown only during daylight hours while being entrained at night, although on February 22, 1921, a nighttime leg on this route (Omaha to Chicago) was flown for the first time with Jack Knight as the pilot. The first daily Transcontinental Air Mail service involving both day and night flying over the entire route was opened on July 1, 1924, which reduced the time of the trip from more than 70 hours to a schedule of 34 hours 46 minutes Westbound, and 32 hours 3 minutes Eastbound. In addition to New York and San Francisco, the route included thirteen intermediate stops where mails were exchanged and aircrew relieved. This was accomplished at airfields located at Bellefonte (PA), Cleveland (OH), Bryan, (OH), Chicago (IL), Iowa City (IA), Omaha (NE), North Platte (NE), Cheyenne (WY), Rawlins (WY), Rock Springs (WY), Salt Lake City (UT), Elko (NV) and Reno (NV). To the left shows the Reno Air Mail Field as it may have looked on September 19, 1927 when Charles Lindbergh landed the Spirit of St. Louis at the Reno Air Mail Field during a tour of the country after his historic trans-Atlantic flight. When asked about the conditions of the field, he remarked that the field was too small for the larger aircraft then being operated. 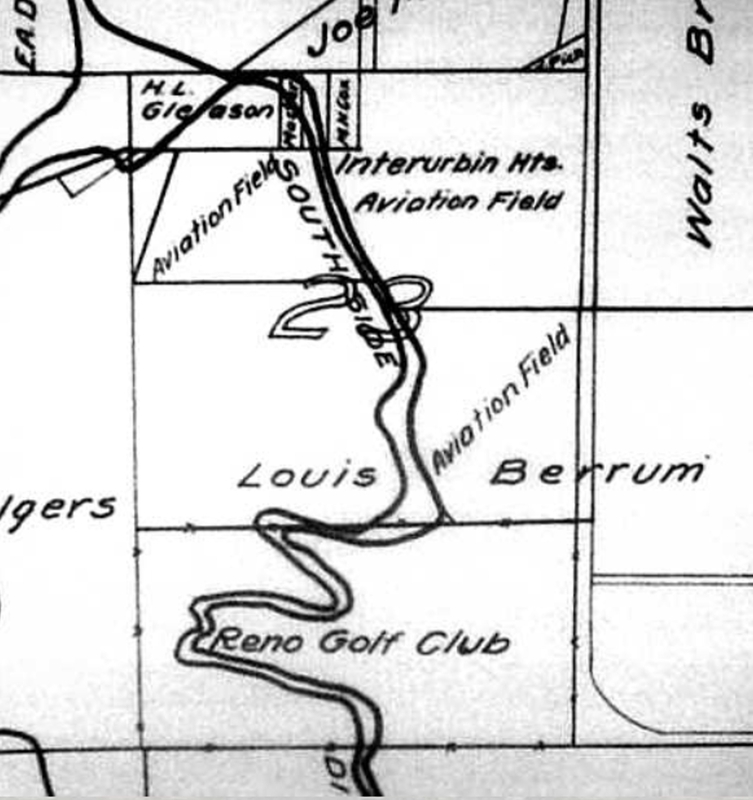 In 1928, Boeing Transport Service purchased a new landing field east of Reno which was named Hubbard Field. United Airlines acquire the field in 1937. Reno purchased the field in 1953. It was originally named Reno Municipal, then Reno-Cannon and now Reno-Tahoe Airport. 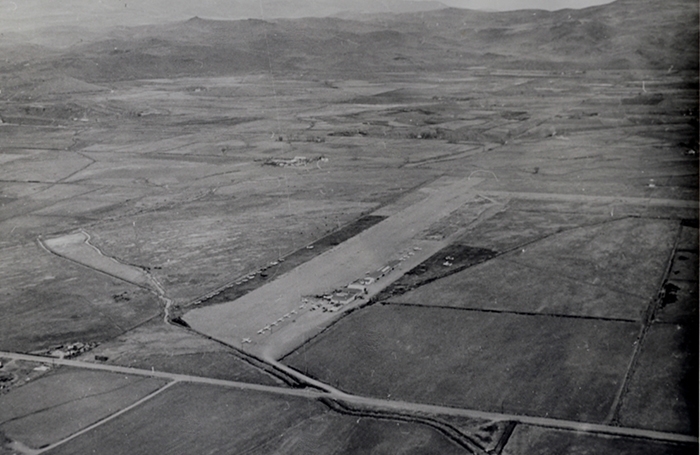 In 1942, the federal government established the Reno Army Air Base a few miles north of Reno. It operated from 1942 until 1945 when it was closed. In 1948, the Nevada Air National Guard took over the base. In 1951 it was renamed Stead National Guard Air Base in honor of 1st LT Croston Stead, a Reno native who lost his life in a P-51Mustang crash at the base. In May 1951, the USAF Survival School moved to Stead Air Force Base. The base performed various training roles until it was closed in 1966 and the base was transferred to the City of Reno and renamed Reno Stead Airport. Sparks was not totally left out of the aviation picture. In 1937 Ted Morrill opened Vista Airport east of Sparks and south of Highway 40. During World War II, the Air Park became a Civil Air Patrol base, so Morrill moved his operations to a new airfield north of town known as ‘Sky Ranch’ in Spanish Springs valley. In 1942, later it became an Army training field. In 1964 and 1965 it was the home of the revived National Championship Air Races by Bill Stead, brother of Croston Stead. In 1966, the Air Races were moved to the Stead facility where it operates today. In 1946, Harry Shriver built an airport in Sparks since light aircraft were banned from Hubbard Field due to high liability fees. The airport was named Sparks Air Park. In this photo, Pyramid Way is at the bottom. In 1958 Greenbrae Shopping Center was built on the land. The hangars nearest the road in the above photo are still in use as Shelly’s Hardware and other businesses. World War II saw a number of other aviation activities located in Northern Nevada. In 1942, the Fallon Auxiliary Air Station (NAAS) was assigned to the Navy. To assist in the performance of the training mission, Outlying Fields were established at Sutcliffe at Pyramid Lake, Lovelock, and Silver Springs. From 1946 to 1951, NAAS was turned over to the Bureau of Indian Affairs. With the advent of the Korean War, the Navy reacquired it. It is now home to Top Gun and the Naval Strike Warfare Center. Sources used: newspaperarchive.com; wikipedia.com; Jerry Fenwick; Neal Cobb; and “History of Sparks” by Sparks Heritage Museum. Posted in Historical Notes and tagged History.